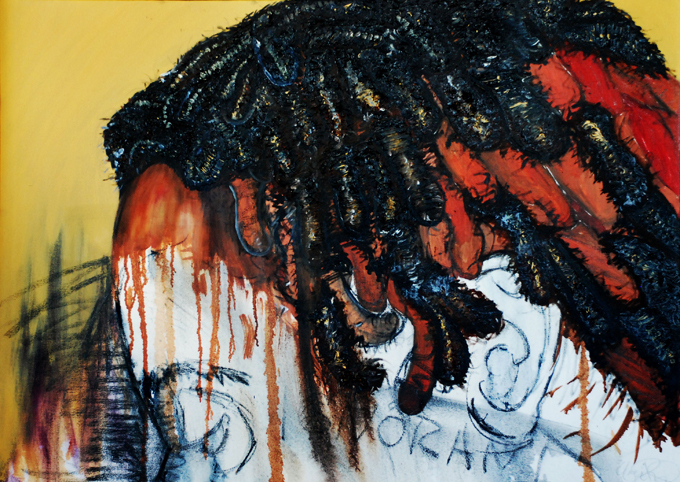 Crown and Glory is a series of paintings that celebrate natural African American hair! 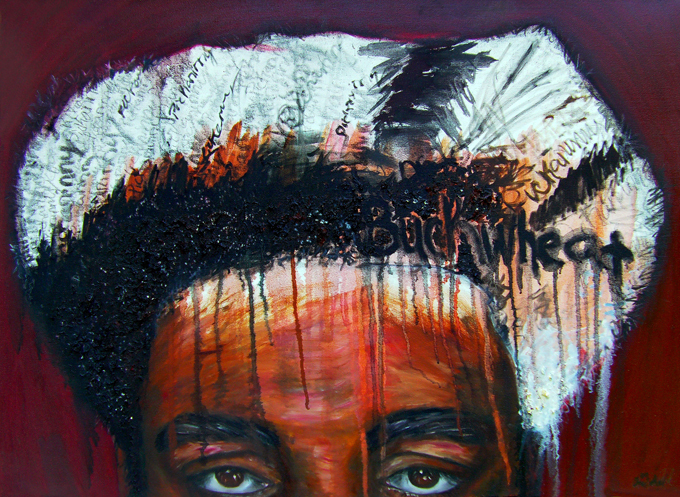 It consists of images of several different natural hair styles with negative words (such as buckwheat and ignorant) embedded within them. The words are meant to be juxtaposed to the person in a way to say that this person has natural hair, but that does not qualify them as buckwheat or ignorant. 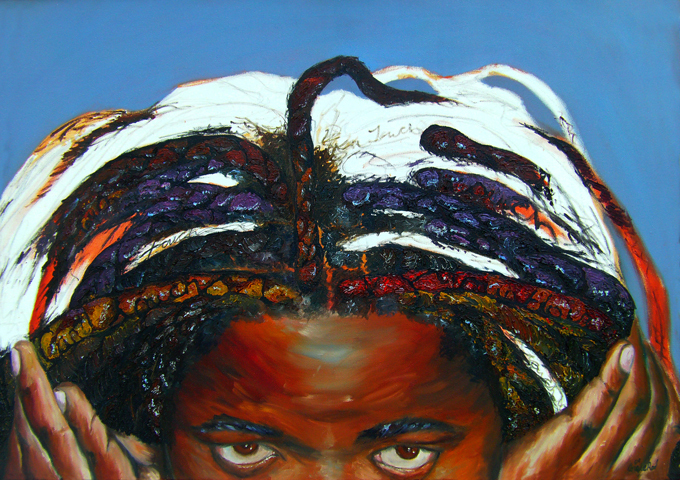 This series is announcing that black hair is beautiful and should be celebrated for its distinctiveness.